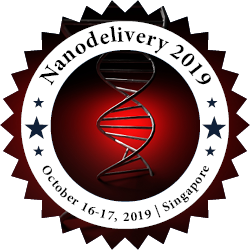 Advanced Nanomedicine is simply the nanotechnology applications in a healthcare setting and the majority of benefits that have already been seen involve the use of nanoparticles to improve the behaviour of drug substances and in drug delivery. Today, nanomedicines are used globally to improve the treatments and lives of patients suffering from a range of disorders including ovarian and breast cancer, kidney disease, fungal infections, elevated cholesterol, menopausal symptoms, multiple sclerosis, chronic pain, asthma and emphysema. Nanomedicine has the potential to develop radical new therapies based on an unprecedented control over both intracellular processes and the extracellular environment at the nanometer scale. To create precise solutions for intricate medical challenges in the area of wound healing, tissue regeneration and mitochondrial disease physical scientists, medical doctors, and industrial partners, work closely in the Radboud Nanomedicine Alliance. The National Nanotechnology Initiative expects new commercial applications in the pharmaceutical industry that may include advanced drug delivery systems, new therapies, and in vivo imaging.